Tell us about something that happened today in history, and make it relate to current science. Happy birthday to O. C. Marsh! Paleontologist O.C. 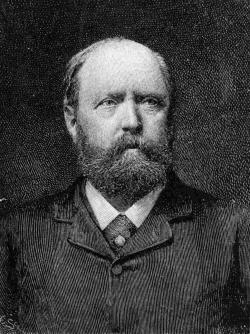 MarshCourtesy Mark RyanPaleontologist Othniel Charles Marsh was born this day, October 29th, 183 years ago. Marsh (who preferred to be addressed as O.C.) 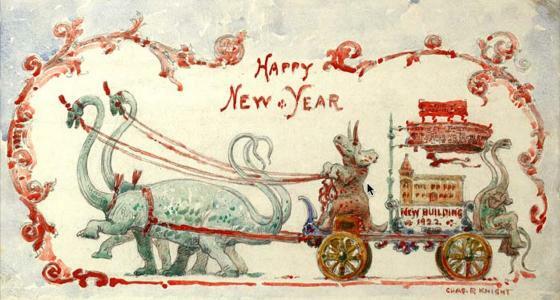 rose to scientific fame with the help of his wealthy uncle, George Peabody, who set his nephew up as the first professor of paleontology at Yale University in New Haven, Connecticut. 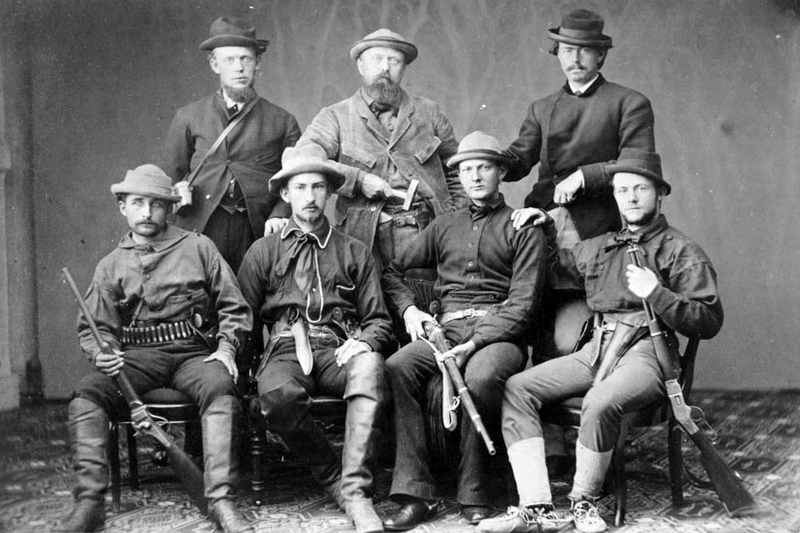 O. C. Marsh (middle standing): with student members of 1870 Yale fossil expeditionCourtesy Public domain via Wikipedia CommonsDuring the late 19th century, Marsh led several expeditions and employed several field collectors across the American West helping him build a huge collection of fossils for the Peabody Museum of Natural History on the Yale campus. His part in the famous "Bone Wars" waged both in the press and in the field against his former friend - and later bitter rival - Edward Drinker Cope of Philadelphia amassed a tremendous amount of scientific knowledge and fossils regarding dinosaurs, reptiles, and early mammals. During his lifetime, Marsh wrote more than 300 papers and books, and described more than 500 new species of prehistoric animals. 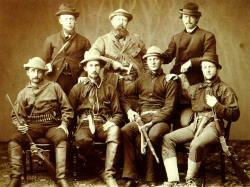 He also served as the vertebrate paleontologist for the U.S. Geological Survey from 1882-1892. The great paleontologist died in 1899. Tags : dns I sududje I d du e8dirjdhfh ft c gf. hxvnxvb offfgfgf 4ry y efv. Georges Cuvier: portrait by François-André Vincent.Courtesy Public domain via WikipediaToday is the 245th anniversary of the birth of naturalist Jean Léopold Nicolas Frédéric Cuvier born in 1769 in Montbéliard, a French-speaking (but not French ruled) region in the Jura Mountains. 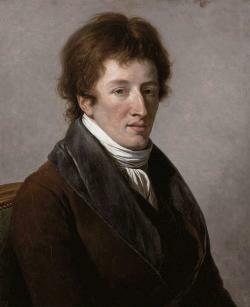 In 1795, Georges Cuvier (as he was known) went to Paris where, eventually he was appointed a professor of animal anatomy at the Musée National d'Histoire Naturelle. Cuvier is considered one of the founders of comparative anatomy and vertebrate paleontology, and helped establish the idea of extinction as a scientific fact. 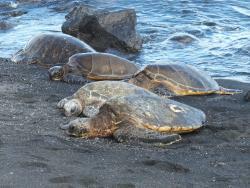 Green sea turtles on Hawaii's Black Sand BeachCourtesy Mark RyanI almost missed it but today, May 23, 2014, is indeed World Turtle Day, a day to celebrate all our shelled reptilian friends, who, by the way, have evolved a pretty successful survival strategy. Yay! 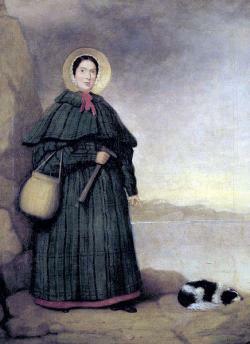 Mary Anning (1799-1847): Portrait of the acclaimed amateur paleontologist with her companion dog, Tray, c. 1833.Courtesy Public domain via WikipediaToday marks the 215 anniversary of self-taught British paleontologist Mary Anning, born this day in 1799. As a young girl, Mary helped supplement her family's meager income selling shells and fossils collected along the Lyme Regis coastline in southwestern England. Her discoveries of ichthyosaur, plesiosaur, and other Jurassic fossils added greatly to the fledgling science of paleontology bringing her praise from, and in contact with many of the established scientists of her time, including Georges Cuvier and William Buckland. You can learn more about this remarkable woman here and here. Tags : by lol do u mean lots of lollipops? Charles DarwinCourtesy Mark Ryanoday marks the 205th anniversary of the birth of geologist and naturalist Charles Darwin. Born in 1809 in Shrewsbury, Shropshire, England, Darwin revolutionized the world of science with 1859 publication of On the Origin of Species. You can learn more about him here and here. Mother Nature brings it in 2013! EarthSky.org presents 2013's best weather videos on their website. Highlights include the massive flooding in Colorado, the destruction caused by the Super Typhoon Haiyan in the Philippines, and the seemingly endless highway pile-up near Germantown, Wisconsin. Especially terrifying is watching the May 20th Moore tornado grow from a small, ropey twister into a monster F5 killer storm in just a matter of minutes. Good time for an astronomical photobomb! Artists conception of big photo opCourtesy NASA/JPL-CaltechHey, everybody. Heads up! Today (July 19, 2013), at approximately 4:27 CDT the Cassini spacecraft, which is 898 million miles away, will take a snapshot from the other side of Saturn that will include not only the ringed planet but our very own planet Earth. The photo op will last for about 15 minutes. Perfect time for a photobomb don't you think? West Clay Pit at Lilydale: Wet weather can make the quarries at Lilydale very treacherous and even dangerous.Courtesy Mark RyanA rescue effort is underway right now in St. Paul where three children are reported to have gotten stranded in Lilydale Regional Park. A helicopter and several rescue units are on site. Two children has already been recovered and taken to hospital but one child is still missing. The children were part of a group of 4th-graders on a field trip from St. Louis Park. 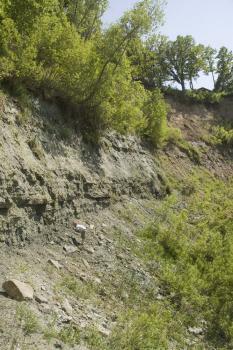 Lilydale is a popular fossil collecting site for school field trips and others but the Decorah shale in the quarries where most of the fossils are found can become very treacherous in wet weather. The crumbly shale reconstitutes into a very thick, slippery muck when it rains making the steep quarry walls very unstable. Three inches of rain have fallen in the Metro area over the past few days. A firefighter reportedly sustained injuries to his head from a falling rock during one of the rescues. Let's hope everything else turns out okay. 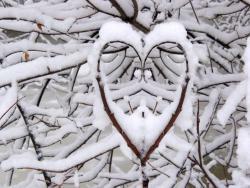 Cold, cold spring in my heartCourtesy Mark RyanIt wouldn't feel like it if you went outside here in Minnesota today but the vernal equinox - the traditional first day of Spring - occurred at 6:02am CDT as the local temperature hovered around 0 °F! It's the coldest First Day of Spring since 1965. Deanna Durbin's singing is how it should be - but Norah Jones' song is more on target.